In the summer of 2018 the FIT4RRI Work Package 2 ‘Sectorial Diagnosis’ came to completion. The question was how RRI and Open Science related dynamics vary, in particular across sectors and national background. In general, contexts matter, so how would this play out in the case of RRI and Open Science? 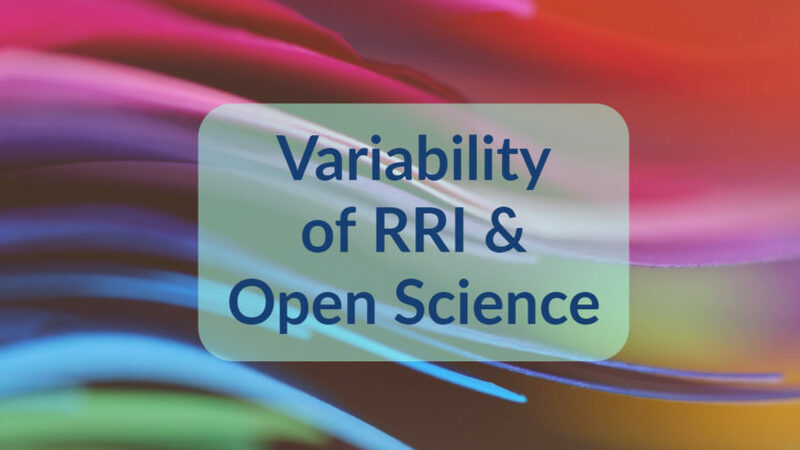 A better understanding of this variability is very important for the co-creation experiments of FIT4RRI. The study on sectorial and national variability included a literature review and dedicated workshops in five countries. The conclusion is that indeed the variation across sectors is substantial: the type of research and stakeholder relationships really matters for how to perform RRI and Open Science. In particular it matters how established or novel the sectors are. The results of the literature are available in a Report. The second step in the Work Package was a series of workshops in five different countries to explore national differences for RRI and Open Science. How important is the national context in the various challenges and chances? In total 43 representatives from research and industry participated in the workshops. We made sure that the five different sectors investigated in the literature review were also represented in the workshops, to allow optimal comparison. We found that the differences in national setting are less important. The Summary Report of the work package brings the results of the literature review and the workshops together and develops recommendations for the co-creation experiments.